What is a gravel, or all-road bike anyway? We tend to use "gravel bike" and "all-road" interchangeably to describe the bikes we ride in gravel, but find the latter a better fit, capturing the idea that a properly designed bicycle can be used on any kind of road efficiently and comfortably. Let's start by saying there are no hard and fast requirements that define what an all-road bike is or isn't. In the Venn diagram of bicycle types there is a good deal of comonality in the over lapping circles defining road bikes, cross bikes, mountain bikes and gravel bikes. As a result, it might be helpful to think about these bikes in terms of desirable characteristics rather than requirements. In the short list of things that make a good all-road worthy bike perhaps the most important is tire clearance - how wide a tire you can fit in the frame and fork. Typical road bikes, designed to be aerodynamic, will fit only very narrow tires in their sleek frames. For gravel, we want something that will hold between 34 mm and 48 mm. Rim brakes can also be a limiting factor in how large a tire will fit. 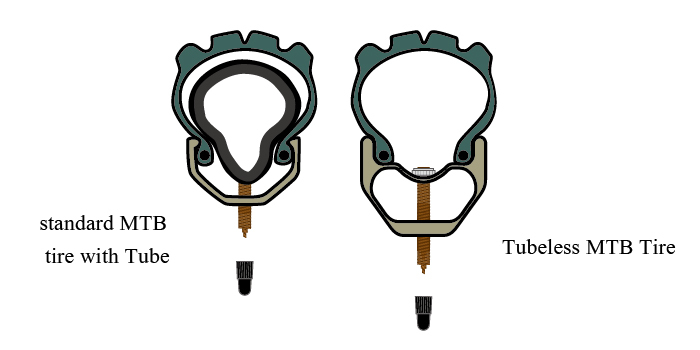 Cantilever brakes, or disc brakes tend to be common in the gravel world because they never interfere with tire width. Frame geometry is another important consideration because of its effect on handling and rider comfort. A frame with longer wheelbase, relaxed frame angles, and lower bottom bracket height will provide both stability and a more comfortable ride. Taller head tubes provide a more upright riding position for additional comfort. Since gravel roads will likely take you into more challenging terrain than paved roads, lower gearing than typical on road and cycle-cross bikes helps the experience. One option that has emerged recently is what's known as the "one by", or 1X, a single chainring paired with a very wide range 11 or 12 speed cassette. This arrangement can get you the same range of gears as double chainring systems, leaving out some of the smaller steps between the extremes. As with any bike genre, your choice of an all-road bike really depends on how you intend to use it. Gravel racers who compete in long endurance event generally ride drop-bar bikes with things like multiple water bottle mounts, or top tube tank bag mounts, or perhaps even some passive suspension like the Lauf fork. If bike packing, which is basic cycle-touring in the unpaved world, is the intent, you many choose a flat-bar rig with extra-wide tire clearance and rack and fender mounts. Where do you want your all-road bike to take you? Next time we will look at gravel events, the grass roots racing scene that has grown up in recent years. Part 1 - Why Gravel? If you haven’t been totally daydreaming while cruising your bike down the usual tarmac roads in the last couple years, you have noticed a significant movement of cyclists off the pavement and on to the gravel roads. It isn’t just us; gravel riding has emerged globally as a new and growing genre in the world of cycling. 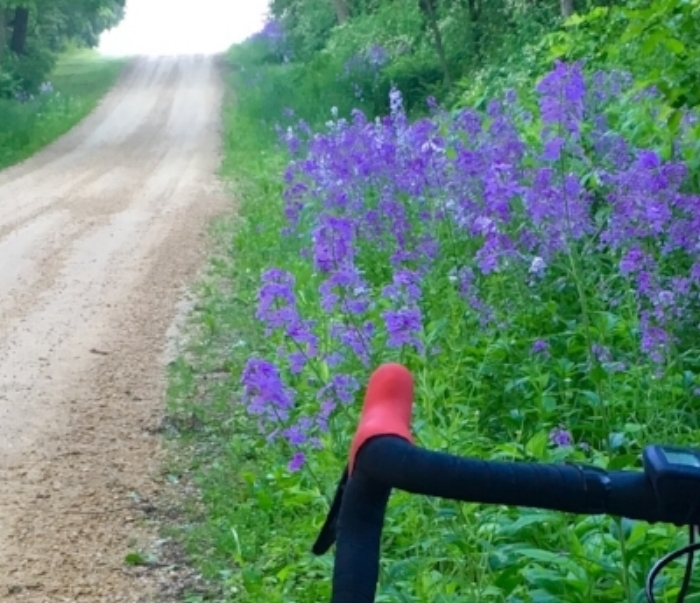 In the shop, we often get asked what is it that attracts people to ride gravel roads, especially here in Northwest Illinois where our paved rural roads are so perfect for riding. People have many questions about gravel cycling, but the first is always: “why?”. So guys, why are we doing this anyway? 1. Gravel changes the scenery. Admit it – you’ve ridden the same pavement to the same places hundreds of times, and unless you are willing to put your bike on the car and go somewhere else, you’re going to ride them hundreds more. Gravel roads offer an easy way to see the places you haven’t seen, and take you places you haven’t been. 2. Gravel changes the game. After years of honing your bike handling skills on solid roads, the shake and shimmy of gravel challenge those skills in a way that makes you focus more on how you actually handle your bike. This new challenge to your skill on the bike elevates the ride into a new level of engagement. The impetus behind the mountain bike boom of the ‘80s and ‘90s was much the same: it’s more exciting. Sign says "Things are about to get exciting"
3. Gravel has less traffic, way less than paved roads. While we’re not afraid of a little traffic, the quiet of the un-beaten path is relaxing. 4. Gravel is great in the Winter. While paved roads get salted and sanded into sloppy messes following winter storms, gravel roads get only the plow. As a result, winter gravel roads tend to be firm, dry and a little crunchy with a thin layer of gravel that gets scraped to the top providing a good grippy surface. 5. Gravel is great for training. Depending on conditions, gravel generally creates more rolling resistance than smooth pavement. A ride on gravel will usually take more effort, or if you prefer, burn more calories than a ride of equal distance on pavement. Additionally, most gravel roads were built without much effort put into reshaping the land, meaning that the hills can be steeper and more frequent than their paved cousins. For the cyclist, gravel sometimes becomes a bit of interval training – always good, whether you think you need it or not.